I always love coming up with different ways to wear a French Tip. 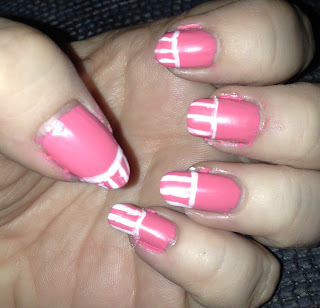 I’m also trying out a new Nail Striper I purchased. This Striped French Tip manicure is great for any time of the year and it only takes a few minutes to create. 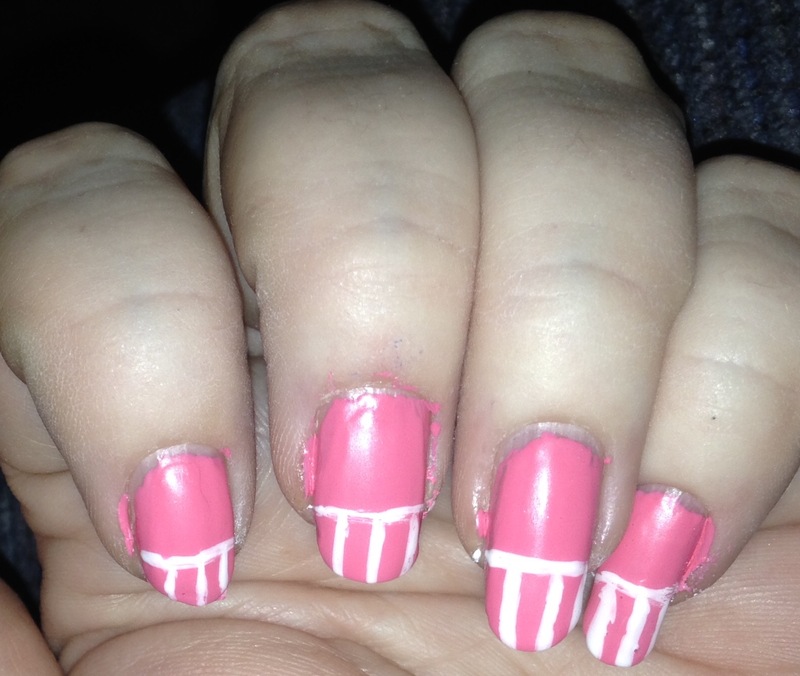 I used a dark pink nail polish with white stripes but you can use any colors you like. 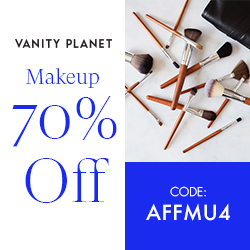 Apply Base Coat to protect your natural nails. Apply two coats of the Pink Nail Polish. Let Dry. Using a toothpick or nail striper lightly dipped in white nail polish, apply a horizontal line where you would like the French Tip to start, then apply vertical lines to the tips of the nails. Apply a Matte Top Coat to the nails for a velvety finish. This is another great nail design if you have shorter nails because it makes the nails look longer!